The French Grand Prix returns to the calendar this week for the first time since 2008, but instead of going back to Magny-Cours, F1 is returning to a French track with a decent history - Paul Ricard. It alternated with Dijon for much of the 1970s before becoming more established in the 1980s. 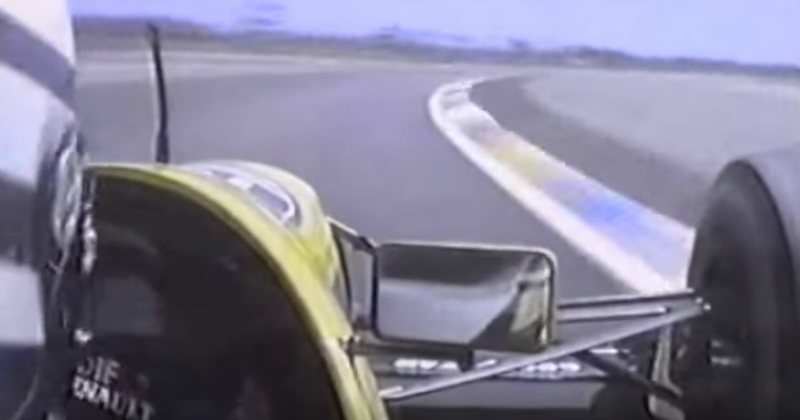 Here’s a lap with Eddie Cheever’s Renault, with the super-fast opening Verriere chicane starting the lap and the use of the full Mistral straight. Also, check out the funky little bridge leading onto the circuit! Incidentally, in that year’s race Cheever qualified second behind teammate Alain Prost, who was a full 2.3 seconds faster - in the dry! In 1986 the race used a much shorter layout following Elio de Angelis’ death in testing earlier that year. It missed out the fast opening chicane and instead cut straight through to the Mistral straight. This layout was used until the last F1 race at Paul Ricard in 1990 - here’s Riccardo Patrese lapping it in his Williams. In 1999 the track was bought by Bernie Ecclestone and completely revamped over the next few years. Hundreds of new layouts were added (literally) and facilities were upgraded, turning it into a state-of-the-art testing venue. The track even has it’s own sprinkler system. The layout was kept largely the same, albeit with the addition of more runoff areas and certain sections being tightened up. A chicane was also added halfway down the Mistral straight, which is kind of a shame. The fearsome Signes corner at the end of it remains though - seeing 2018 F1 cars flying through there should be a real highlight. To whet your appetite, here are a few laps with a Ferrari F2008.